Pepper Johnson Will Interview for Giants Defensive Coordinator Position Next Week: According to multiple press reports, Thomas “Pepper” Johnson will interview for the vacant New York Giants defensive coordinator position sometime next week. The 50-year old Johnson is currently the defensive line coach for the Buffalo Bills. He was a linebacker for the Giants from 1986-1992, earning two Super Bowl rings under then Head Coach Bill Parcells and then Defensive Coordinator Bill Belichick. 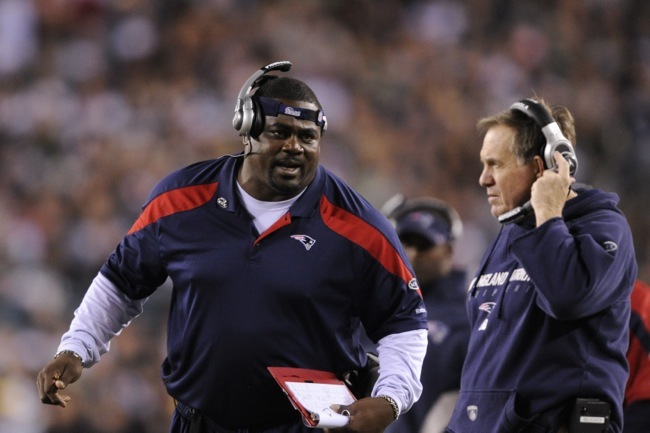 For 14 seasons, Johnson was on Belichick’s coaching staff in New England. Since Johnson is still under contract with the Bills, the Giants had to request permission to speak with him. According to press reports, the Bills have done so. The Giants have already interviewed Washington Redskins Defensive Backs Coach Raheem Morris for the position on Friday. For more information on Morris, see One Barber is a big fan of Giants D-coordinator candidate Morris by Paul Schwartz of The New York Post. RB Rashad Jennings on WFAN Radio: The audio of New York Giants running back Rashad Jennings interview on WFAN Radio on Friday is available at CBS New York. 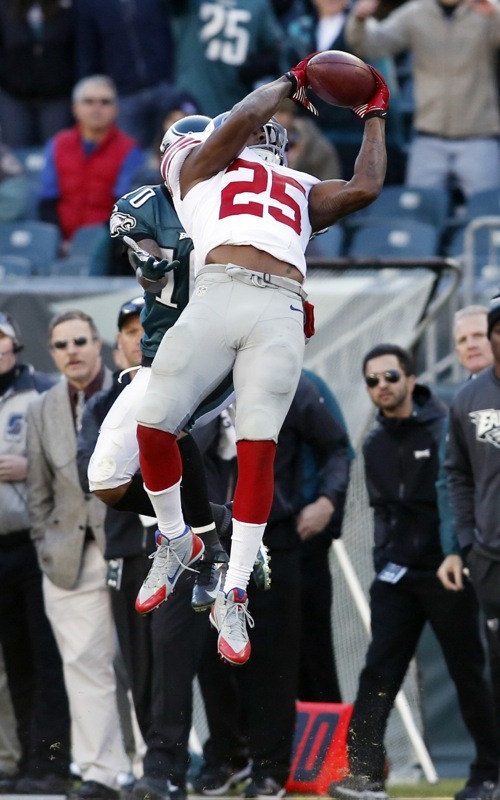 Notes: The Giants finished 10th in the NFL in total offense with an average of 367.2 yards a game. The Giants scored at least 24 points in each of their final six games, their longest such streak in 51 years. They scored 24 or more points in eight consecutive in 1963. In 2014, the Giants outscored their opponents by 41 points in the first half (211-170) but were outscored by 61 points in the second half (230-169). The Giants were 1-8 when they rushed for less than 100 yards. QB Eli Manning completed a career-high 379 passes in 2014 and is one of five quarterbacks with at least 300 completions in each of the last six seasons. The others are Tom Brady, Drew Brees, Joe Flacco, and Philip Rivers. Manning completed a career-high and franchise-record 63.1 percent of his passes this season (379 of 601). Manning has completed 3,308 passes in his career, moving him into 13th place in NFL history. PK Josh Brown now owns the Giants records for both single season and career field goal percentage. In 2014, Brown hit 24-of-26 attempts (one of the misses was a block). In his two seasons with the Giants, Brown has succeeded on 47-of-52 field goal attempts, a 90.4 percentage. In the Giants’ last four games, WR Odell Beckham totaled 130, 143, 148 and 185 yards to become the first player in franchise history with four consecutive 100-yard games. The Giants had at least one sack in all 16 games for the first time since 2007. 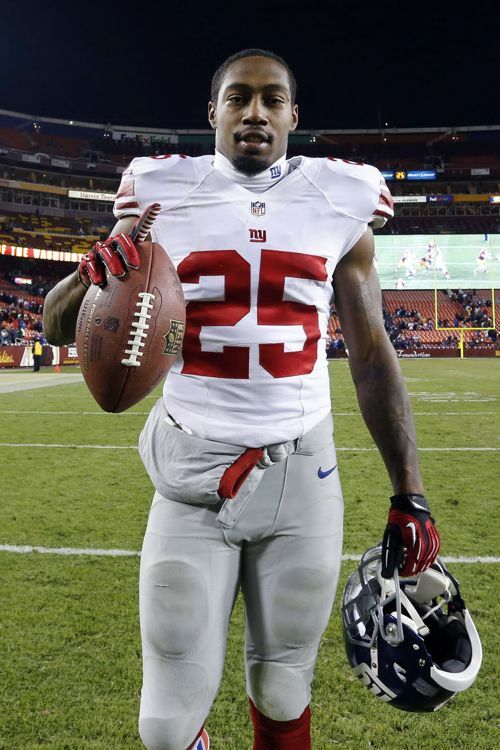 The Baltimore Ravens have come to terms on a contract with ex-New York Giant and suspended safety Will Hill. Hill will take the roster spot of another former Giant, Aaron Ross, who suffered a season-ended achilles injury yesterday during the Ravens’ conditioning test. “If we need it, Will will provide depth in the middle of the season,” Ravens’ general manager Ozzie Newsome told Jeff Zrebiec. Ravens have signed safety Will Hill. Hill spent two suspension-filled seasons with the Giants after going undrafted in 2011. When Hill was on the field, the dynamic safety flashed for the Giants with his play-making ability. The issue was staying on the field. His rookie year, Hill missed four games when he was suspended for the use of Adderall. He returned to register 38 tackles and a forced fumble. Last season, he missed four more games when he was suspended for the use of marijuana. Even though Hill returned and recorded 77 tackles, two forced fumbles, one fumble recovery and two interceptions in 12 games, the Giants warned him he was on thin ice. One more slip up and Hill would be released. Their warning fell on deaf ears. Hill was suspended again on May 30 for the first six games of the regular season after failing another drug test for marijuana. He blamed second-hand smoke, but lost his appeal. The Giants released Hill shortly after his appeal was denied. While Hill will need to sit out the first six games of the regular season, he will be eligible to practice and play in the Ravens’ preseason games. The news of Hill signing comes shortly after the announcement of Ray Rice’s two-game suspension for alleged domestic abuse. 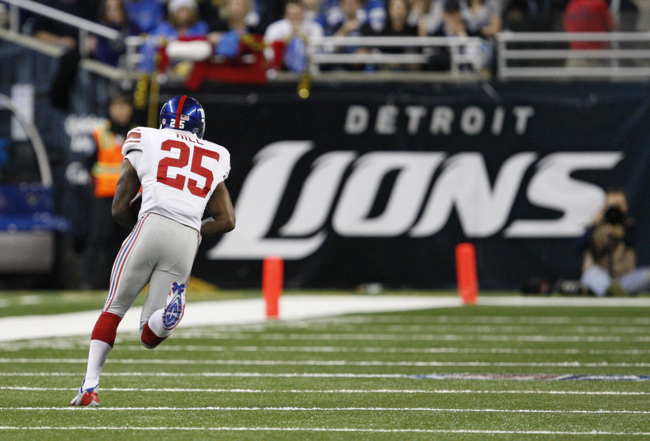 Antrel Rolle didn’t have an answer. Standing in front of cameras, microphones and reporters following the culmination of yesterday’s Organized Team Activity, the Giants’ Pro-Bowl safety seemed stunned. Not at the fact Jayron Hosley was suspended for four games, or at the fact Will Hill had just been cut. Heck, Rolle admitted he saw it coming. But what had the 31-year-old shocked was a simple three-letter question. “It’s too easy to do right, than to keep doing wrong,” Rolle said. For the better part of eight minutes, Rolle fielded questions without backing down or shying away from one. Whatever was thrown on the table, he answered with the same veracity and sincerity that had often times got him in trouble. But today was different. The safety wasn’t looking to make headlines or light a fire under his teammates. Rolle was speaking from his heart on a situation few knew the true light of. There was disappointment in his voice, embarrassment. Shock that what he had done for a decade others were not able to replicate. There was a sense that he was holding back, while also fully letting go. Hill was troubled, yes, but the Giants had done everything possible to help the situation. Still, it wasn’t enough. When you heard the Will Hill news, it was probably disappointing. With Will and Jayron (Hosley) coming back-to-back, do you feel like something needs to be said? The normally peppy and high-energy Rolle was anything but. There was something about the situation that seemed truly troubling. Throughout his entire career, Rolle had embodied the correct way for an athlete to carry himself. During the offseason, Rolle lives in Miami. He goes out with friends to clubs in the area, has a good time and his personality often makes him the life of the party. Yet he knows when enough is enough. Not once has Rolle been suspended for any off-the-field antics. The same message with the same disappointed mannerisms was echoed when Tom Coughlin took his place in front of the media. There was nothing else the coach could have done. At the end of the day, both for Hosley and Hill, it comes down to the player maturing enough to know what’s right and what’s wrong. New York Giants Complete Fifth OTA Practice: The New York Giants held their fifth of 10 Organized Team Activity (OTA) practices on Tuesday. No live contact is allowed in OTA practices, but 7-on-7, 9-on-7, and 11-on-11 drills are permitted. The quarterbacks got some good work in on the back corner fade as they practiced by throwing the ball into a net. Both Eli Manning and Curtis Painter connected in the drill, and Manning carried that over to the team portion of practice, hitting TE Kellen Davis on a perfect throw in the corner of the end zone. The running backs looked smooth as the offense worked on the run game today. Andre Williams showed some nice vision on a couple plays and good feet as he quickly turned the ball upfield. 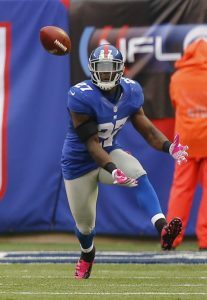 You can tell David Wilson has ball security on his mind. Whenever he gets the ball in his hands, he holds it high and tight and puts a second hand over the ball to make sure it is secure. The Giants pass rush was very active during practice, with a number of linemen finding their way into the backfield. DE Damontre Moore had an excellent practice and was very vocal after beating the left tackle trying to block him. Undrafted rookie free agent DE Kerry Wynn had an interception after an Eli Manning pass intended for WR Rueben Randle was bobbled and batted in the air almost a half dozen times before being caught by the Richmond product. LB Jameel McClain is a great wingman for Jon Beason at linebacker. He flashes the same leadership qualities and has a good eye for defensive adjustments, often barking out audibles based on what the offense is showing. S Quintin Demps looks great as a kickoff returner. He always seems to make the right cut and displays speed and explosiveness. That doesn’t mean there won’t be a place for WR Trindon Holliday, who is getting offensive reps as well as special teams return work. WR Rueben Randle: Randle out-jumping a couple of defenders on an underthrown post pattern 30 yards down field. 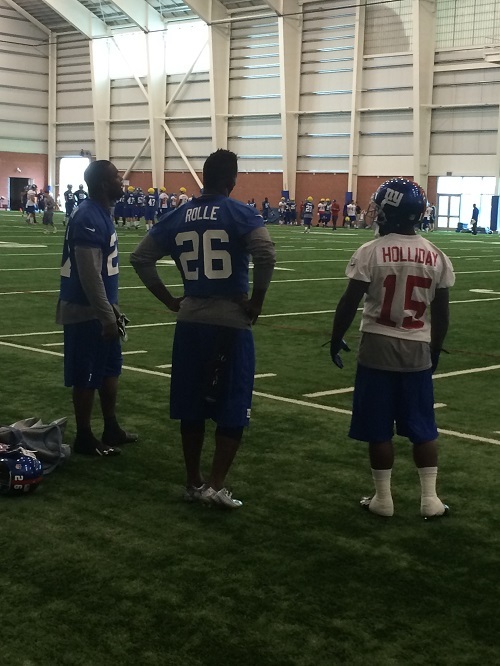 Earlier in the practice, he caught a nice slant from Eli Manning for a touchdown. RB Peyton Hillis: Hillis ran the ball a couple of times and caught a couple well-run screen passes. He did have the ball stripped from him late in practice on a run off right tackle. DE Damontre Moore: Moore was very active and very vocal during practice. He used his speed to get around offensive tackles James Brewer, Charles Brown, and Troy Kropog a number of times and vocally let everyone know about it. Thursday’s practice will be open to the media. Prince Amukamara Disappointed With Will Hill Situation: The New York Giants waived safety Will Hill on Monday after he lost his appeal on his third drug-related suspension by the NFL in three years. His teammates are obviously disappointed to lose their comrade and a valuable member of the defense. BBI Has New Ticket Vendor! : We have a new ticket vendor on the site, TicketMonster.com, which has low prices and no fees on tickets for a variety of events, including at preseason and regular-season Giants games. We have included links to tickets to specific games in the Schedule section of the website. Will Hill is not a bad guy. He’s never been charged with a murder, like a certain someone up in New England. He’s never mistreated a woman, like a certain quarterback in Pittsburgh. Will Hill has never harmed an animal, like a certain someone in New York. He’s never been malicious, violent or barbarous. Will Hill simply smoked a joint, got caught, and suspended in back-to-back years. He’s gone for six games, not a season. So why cut him? Why let walk for free a player with immense talent, the potential to be one of the game’s best? Because it’s not about the pot. It’s not about marijuana. It’s not because of first hand, second hand, or third hand smoke. It’s because Will Hill was told by his boss not to do something. Then he did it anyway. On Monday afternoon, the New York Giants released a statement through the team’s twitter account. It came across subtle, with a picture and link to a press release. A move that was once rumored and assumed for six weeks finally came to fruition. Will Hill, the hard-hitting troubled safety, was released. The team, which was the only one to give him a shot three years ago, had given up. Thrown in the towel on the talent-limitless Jersey City native. Since his early years, “talent” was never an issue with the 24-year-old. Hill grew up in New Jersey and quickly earned fame as a triple threat at St. Peter’s Prep High School. Hill starred as the team’s returner, quarterback and safety. In his senior season, Hill ran for 682 yards, threw for 758, intercepted three passes, recorded 68 tackles and had 444 receiving yards. The Star-Ledger named Hill its New Jersey Offensive Player of the Year and he was given a five-star recruit rating by Rivals.com. ESPN ranked him as the second overall football prospect and top athlete in the nation. Hill committed to Florida. While Hill’s talent on the field was demonstrated to the nation, his life off it was not. According to The Star-Ledger’s Conor Orr, while in high school, Hill would sleep at head coach Rich Hansen’s house the night before games. Hansen saw the talent that Hill had, knew the only thing that could stop him from reaching fame and glory were those in his life. Growing up in Orange, New Jersey, Hill constantly found himself in the wrong place at the wrong time. While Hill was a good kid, those in his life were anything but. Coaches, fellow teammates and advisers worked to keep Hill out of trouble during his high school days. But when the safety arrived at Florida, those voices were not there. Hill was on his own. During his three years in Gainesville, Hill’s career was plagued with disappointment. He flashed potential, showed the game-breaking ability he once displayed on Friday nights in Jersey, but his off-the-field life was now as in the spotlight as his play. Hill was suspended following his junior year after being caught with marijuana. He tweeted out messages with graphic sexual references, mentions of drug use and prostitutes. Hill claimed to have had his account hacked. Despite the above, Hill declared for the NFL Draft, but performed poorly both during NFL Combine interviews and private workouts. The one that was once thought of as a sure-fire NFL player went undrafted and wound up with the Arizona Football League’s Arena Rattlers. After that short stint, the team that played 18 miles from his high school school’s stadium gave him a call. Hill would work out for the New York Giants. Hill showed up and appeared to have turned a corner, appeared to be more mature and ready to take his life into his own hands. He was told he’d be on a short leash and showed enough during a workout to be signed to the roster for training camp. Then on October 8, 2012, Hill’s off-the-field life caught up to him again. The safety was suspended for Adderall, strike one, but the Giants stood by him. 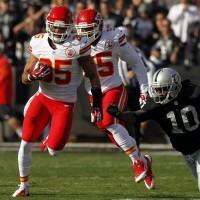 Hill played 12 games, registering 38 tackles, one forced fumble and one fumble recovery. He was brought back for the following season, before swinging and missing at strike No. 2. On July 20, 2013, the NFL announced that Hill will be suspended four more games, this time for violating the NFL’s substance abuse policy. He openly stated he smoked marijuana in order to cope with some of the stresses of his off-the-field life. As was the case before, the Giants stood by Hill, but this time issued a warning. “The Giants just told me that they had my back, they had my support, but another slip-up and that’s that,” Hill told The Star-Ledger. Not even 12 months after uttering those words out of his mouth, Hill slipped again. On May 30, 2014, the NFL suspended Hill for six games of the 2014 season for violating the policy and program for substance abuse. Hill reportedly told friends that he had not smoked marijuana, that the positive urine test was derived from second-hand smoke. It doesn’t matter. And it shouldn’t. Anyone who has stumbled upon Hill’s Instagram account know the safety has put himself in less than ideal situations. Clubs, photos of him with liquor and females litter the social media account. For someone down 0-2 in the bottom of the ninth, why start swinging at chase-me pitches out of the zone? Why is Hill in the vehicle? Why are those shavings in the car? Despite this, the Giants stood by Hill. That was, until, their hands were forced. 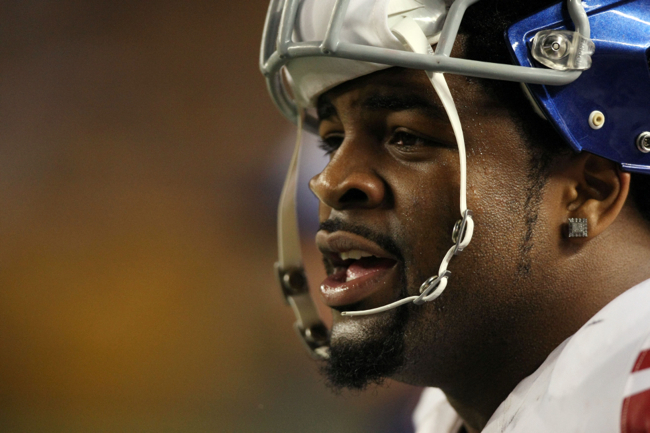 Hill’s release from the Giants is not because he did, or didn’t, smoke marijuana. It’s not because Jerry Reese believes pot is bad, is illegal, or is a ‘gateway drug.’ It’s not because Tom Coughlin is too old fashioned or straight edge. It’s because Hill was warned. He was warned over, and over, and over again, yet he still continued to put himself in these positions. Wrong place, wrong time? Sure. But when you know you are one step away from being cut from the only team that was willing to give you a shot, why are you around marijuana in the first place? Whether Hill put the joint to his lips or not, it got in his system. You don’t fail a test by sitting in on a Friday night with close friends and not allowing any to light up. You don’t fail a test by going to a club, noticing marijuana, then leaving the location. You don’t fail a drug test unless you put yourself in the situation to do so. The Giants gave Hill three strikes, and he went down on the first three pitches he saw. One in 2012. One in 2013. One in 2014. Will Hill is not a bad guy. He is not a murderer, child molester or animal abuser. Will Hill is a troubled child who has continually put himself in situations that could jeopardize his career. Will Hill is a talented safety who can’t follow the rules. It doesn’t matter that Will Hill smoked pot. It matters that he was told not to do these things, and proceeded to do them anyway. New York Giants Waive Safety Will Hill: In a move that was not terribly surprising, the New York Giants have waived safety Will Hill, one of the team’s best defensive players. In April 2014, it was revealed that Hill had failed another drug test for substances of abuse (illegal drugs) and would be suspended for the third time in three seasons by the NFL. Hill appealed that ruling, but lost his appeal last Friday. 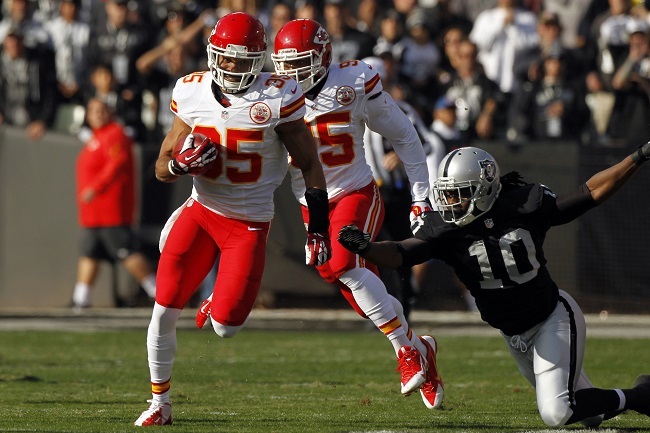 The NFL announced on Friday that Hill would be suspended for the first six games of the 2014 NFL regular season. As reported on Saturday, Hill had told friends that he was a victim of second-hand marijuana smoke and therefore innocent. Hill was originally suspended for four games of the 2012 season for violating the NFL’s policy on performance-enhancing substances (reportedly Adderall). Hill was suspended for four games a second time in 2013, this time for violating the NFL’s policy on substances of abuse (reportedly marijuana). In December 2013, Hill was arrested for being delinquent on child support payments. At the time of that arrest, the police reported that they detected the smell of marijuana in his vehicle, but no drug-related charges were filed. When he came off of the second drug suspension, Hill played in the remaining 12 games of the 2013 season. Hill started one game at strong safety and became the new starter at free safety in the last nine games. He impressed with his play, finishing with 77 tackles, 2 pass defenses, 2 interceptions (one returned for a touchdown), and 2 forced fumbles. Hill was a top-ranked athlete coming out of high school in New Jersey, but off-the-field issues caused him to be undrafted and unsigned after his junior season at the University of Florida in 2011. Because of this move, we have updated the Transactions, Roster, and Depth Chart sections of the website. Will Hill Claiming Second-Hand Marijuana Smoke Caused Suspension: According to a report on NJ.com, New York Giants safety Will Hill has told his friends that second-hand marijuana smoke is what contaminated his blood and led to his third drug-related suspension in three years. The NFL announced on Friday that they rejected Hill’s appeal and that Hill will have to serve a 6-game suspension, starting with Week 1 of the 2014 regular season. If the Giants do not cut Hill, he is allowed to participate in all offseason and preseason practices and games until his suspension begins. Hill will be eligible to return to the Giants’ active roster on Monday, October 13 following the team’s October 12 game against the Philadelphia Eagles. Hill was first suspended for four games of the 2012 season for violating the NFL’s policy on performance-enhancing substances (reportedly Adderall). Hill was suspended for four games a second time in 2013, this time for violating the NFL’s policy on abusive substances (reportedly marijuana). Though Hill has not yet spoken publicly about the third suspension, he has told his friends he was innocent and that he he thought the suspension may be overturned. Both Grant and another unidentified source told NJ.com that they do not believe Hill has a drug dependency problem. Safety Will Hill Suspended for Six Games: New York Giants safety Will Hill has been suspended without pay for the first six regular-season games of the 2014 season. Hill violated the NFL’s policy on substances of abuse. Pleading innocence, Hill appealed the suspension, but lost the appeal. If the Giants do not cut Hill, he is eligible to participate in all offseason and preseason practices and games until his suspension begins before Week 1 of the regular season. Hill will be eligible to return to the Giants’ active roster on Monday, October 13 following the team’s October 12 game against the Philadelphia Eagles. This is Hill’s third NFL suspension in three seasons. Hill was first suspended for four games of the 2012 season for violating the NFL’s policy on performance-enhancing substances (reportedly Adderall). Hill was suspended for four games a second time in 2013, this time for violating the NFL’s policy on abusive substances (reportedly marijuana). Hill was also arrested during the 2013 season for not making child support payments. At the time of that arrest, the police reported that they detected the smell of marijuana in his vehicle, but no drug-related charges were filed. When he came off of the second drug suspension, Hill played in the remaining 12 games of the 2013 season. Hill started one game at strong safety and became the new starter at free safety in the last nine games. He impressed with his play, finishing with 77 tackles, 2 pass defenses, 2 interceptions (one returned for a touchdown), and 2 forced fumbles. Hill was a top-ranked athlete coming out of high school in New Jersey, but off-the-field issues caused him to be undrafted and unsigned as a junior in 2011. 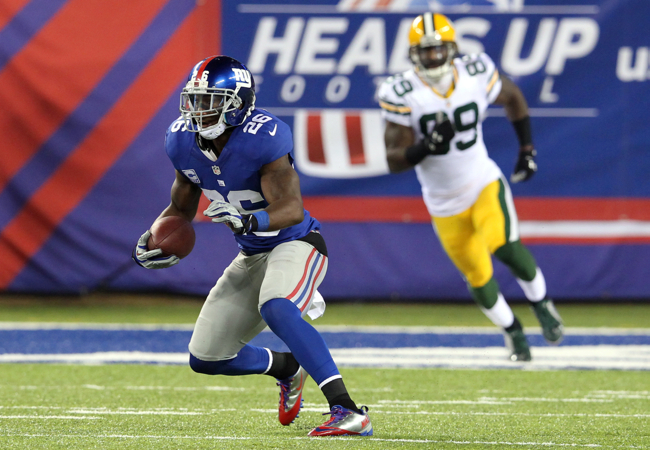 Now the team will need to decide on whether Will Hill will remain a New York Giant. New York Giants Claim Jamaal Johnson-Webb Off of Waivers: The New York Giants claimed offensive lineman Jamaal Johnson-Webb off of waivers from the Buffalo Bills on Wednesday. 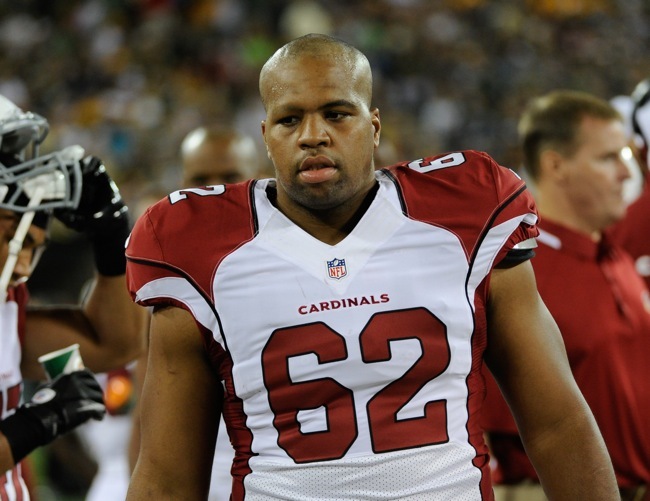 Johnson-Webb was originally signed by the Arizona Cardinals as an undrafted rookie free agent after the 2013 NFL Draft. Since then, he has spent time with the Cardinals, Bears, Vikings, and Bills. Johnson-Webb has a nice combination of size, arm length, and overall athleticism. However, given his late start to the game of football and small-school background, he is raw and needs continued strength training and technique work. TE Xavier Grimble Close to Officially Signing: Undrafted rookie free agent tight end Xavier Grimble (USC) indicated on Twitter on Wednesday that he will likely officially sign with the New York Giants soon.